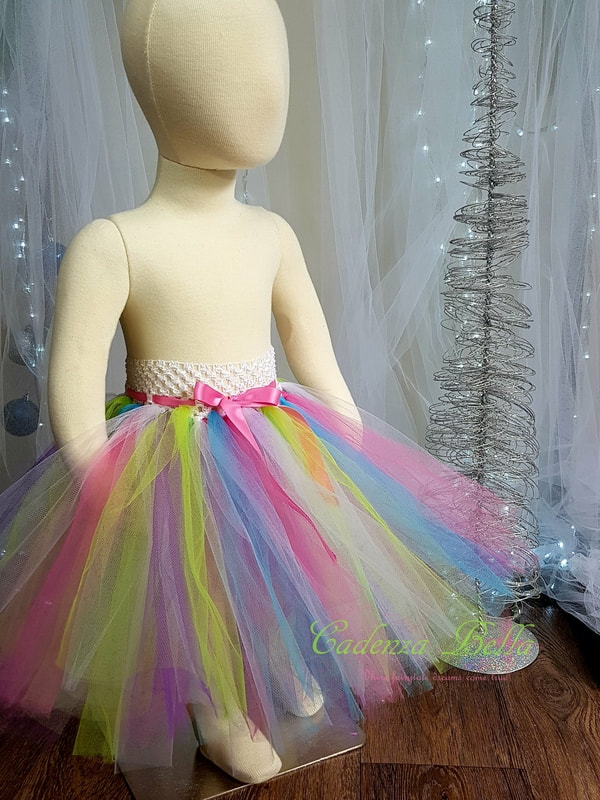 The perfect Christmas tutu for those that like a bit of colour in their festivities. This is such a sweet combination all year round aswell. It reminds me of the bright colours on a white Christmas tree and candyfloss all in one.